Home » Blog » TOPPER’S STRATEGY: INDU JAKHAR RANK 30, CSE 2015, HIGHLY RECOMMENDED! 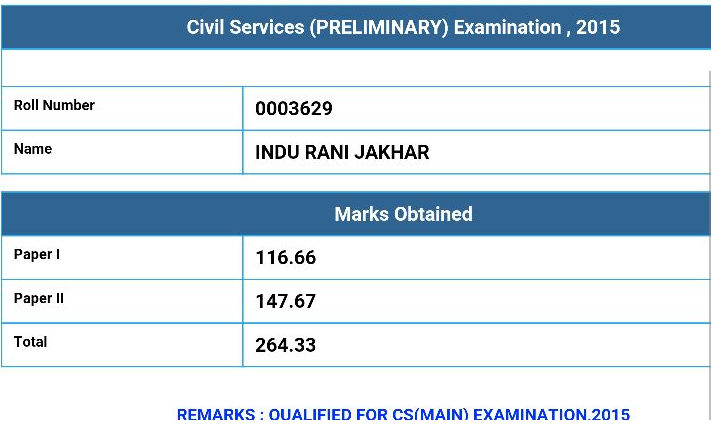 TOPPER’S STRATEGY: INDU JAKHAR RANK 30, CSE 2015, HIGHLY RECOMMENDED! When I began my preparation two years ago, I had just one dream-the three letter word-IAS. I am so glad that finally I have been able to achieve my endeavour. While beginning my new journey , I would wish to share my experience with fellow aspirants on IASbaba’s request and i hope it’ll be useful to them in their pursuit. I am 24 year old and a doctor by profession.I finished my MBBS from Maulana azad medical college, new Delhi in January 2014 and it was only after that I started my preparation. I secured AIR 688 in my first attempt in 2014 with just basic preparation. With greater focus on my weaknesses , I could secure AIR 30 in 2015. Firstly I would say the most important aspect of this preparation is not studies. Rather it is building the right personality as this examination is a long drawn process. Thankfully my preparation in 2014 began with the right teacher at nirvana academy who focused on the latter aspect more. He always said you need to know why you want this service!! There are lots of people who can study but only those who focus on oneself are able to sail through this tumultuous path. There will be lots of days when you will doubt yourself, think about alternative career options and remorse the times you have to opt out of family and friends’ events as you have to study in that time. But if you are determined and passionate about your goal you’ll be able to endure such times. Hence your reason for your decision to take up this challenge should be firm as you will need to revisit it so many times. As someone rightly said ‘success is less about enjoying and more about enduring’. You should enjoy the process and be extremely zealous about it. 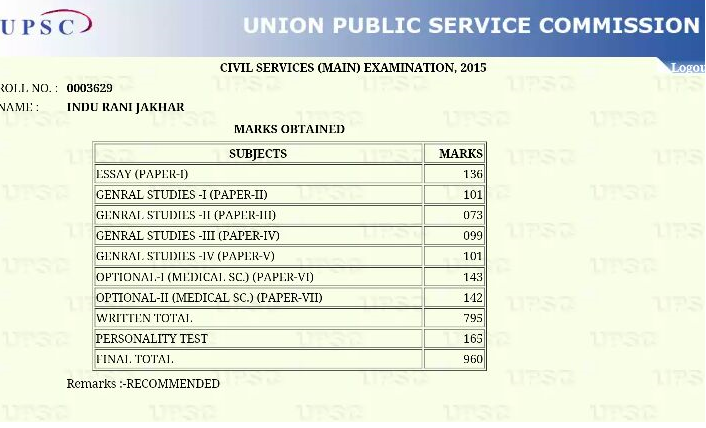 In my first attempt in 2014, I got DANIPS with 688 rank but was disappointed that I couldn’t make it to my dream job. With little time left for prelims, it was only this conviction that could help me get back on my feet and work hard for the next attempt. A poem ‘Don’t quit’ by an unknown author has been an incredible support to me. Reading it in odd times helped me gain the strength to fight again and again. IASBABA is a very nice platform for guidance specially for students who are not able to access coaching centres in Delhi due to time or distance issues. Though I haven’t been very regular as I had supplementary sources yet I have used it in my preparation for answer writing practice post prelims. I believe this consistent daily answer writing ,even for few days, is more relevant for improving quality of answers. Also their Mind Maps initiative is particularly useful for revision. I used these for value addition in my preparation. Yojana summary and the recent AIR and RSTV videos summary is also very good. Environment, science and technology: newspaper and ncert 12 biology ecology section. With the increasing questions of environment being asked, people are losing focus as they are running after getting these questions right. The crux lies in doing otherwise, that is, getting questions of the other three topics absolutely right. So focus more on revising the history, geography and polity portion first. And don’t go with a preconceived notion regarding the number of questions you will attempt. Assess the paper and then attempt depending upon your knowledge. Revision is the key. Go through the sources you had read primarily at least thrice before pre. Keep reading newspaper at least till 15-20 days before prelims with greater focus on facts and prelims type questions. And most of all ,don’t get bothered by what others are studying. Rather prepare yourself well. Develop your mind to reach to answers through exclusion as it works in solving a lot of questions. So I would more elaborate on what I did differently while preparing it. I think the preliminary thing to do is that you write down the whole syllabus and then delineate your preparation strategy according to your strengths and time availability. Make small time tables and keep checking your progress periodically. The most important part is simplify your preparation for general studies as the syllabus is vast. As you read something , maintain a notebook where you write its summary for all papers separately.This will help a lot in revision. Read all ncerts pertaining to different aspects of syllabus specially for gs 1 and 2. It will help in establishing a sound base which can be augmented with the information from newspapers. 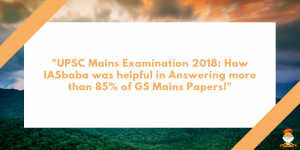 Yojana is extremely helpful for gs 2 and also for some topics of gs 3.The language of ncerts and yojana is important as it’s very balanced, exactly what can be written in examination. Apart from that I read very few books like V N KHANNA for foreign policy. RSTV is one of the finest inputs for ones’s preparation.I used to watch news hour and big picture daily on it and some other good programs like india’s world ,policy watch and special reports.It is a fun way to learn and you get opinions of many eminent people as well through it on different topics. Newspaper is a must for preparation. It is the essential building block of your preparation. You need to cultivate the habit and it actually becomes one’s leisure time. I never had this habit before this preparation but now yes it is one of the most important things of my day. Today the kind of questions that are asked can’t be answered after reading from books. They require one to synthesize their viewpoint through amalgamation of varied opinions. Even static portions are being asked after linking them to contemporary issues.E.g. question in geography on pollution in delhi or ill effects of ecotourism. These can only be covered through newspaper. Developing the acumen on how to approach a question is very important. The examination now requires greater focus on how to write than what to write. So answer writing is important but thats feasible once you have built your basics. Never ignore your base as it is going to be the key to your success. Bring out multiple dimensions in your answers and they become impressive. And mind it, this will come with time and practice. So don’t get demoralised ever. What matters is what you know in the end. Fortnightly there used to be essay practice tests on it. I had written a few times and I believe it helped a lot. Many students write so well and comprehensively. After sincerely writing your topic when you go through the essays of others,it helps a lot. So many dimensions are covered by different writers and hence you get added inputs. It also brings a sense of discipline as you start writing essay periodically and the concept of peer review is very nice for mutual benefit as compared to any test series for it. Above all,i believe the basic premise of this site is good.It is bilateral and aspirants contribute as well which encourages participation positively. Also find transcript of both my interviews on my blog. “The biggest reward you will receive by doing easy things is that they will be easy to do. If you want more, go for the difficult ones”. Civil services would be one beautiful journey if you start enjoying the difficult parts of it. 1. What is the 'sourcing condition' clause of India's FDI policy? There have been constant discussions and debates over the issue of removing this clause from the policy. Why? Is it really required? Examine.